Changi Airport Group (CAG) has launched the Changi Foundation as part of its corporate social responsibility efforts to enhance the communities in which it serves. Through the Foundation, CAG hopes to help youths-at-risk in their journey of transformation from adolescence to adulthood by nurturing and developing them to become active contributors to society. The Changi Foundation, established with an initial capital of S$1 million, will benefit youths from CAG’s partner organisations currently Assumption Pathway School, Children-At-Risk Empowerment Association (CARE) Singapore, NorthLight School and Students Care Service. The funds will be used to support youth community efforts through three key thrusts: Education, Skills Development and Community Service. Through the programmes and projects to be funded by the Changi Foundation, CAG aims to assist and support the needs and challenges that these youths face, such as academic failure, lack of family support and often, financial difficulties. Book prizes and bursaries will be given out to motivate youths to improve and to recognise the academic efforts they make. The Foundation will also cater beyond the school years, when the youths enter the second phase of their life journey into the working society. In this aspect, the Changi Foundation seeks to equip them with the skill sets that would help them in future employment. In this thrust of skills development, the Changi Foundation has established two key initiatives to support our youths – through the “Youth Passport Programme” and “Be a Service Star”. The Youth Passport Programme (YPP) provides youths with an opportunity to experience first-hand the environment and operations of a major airport. 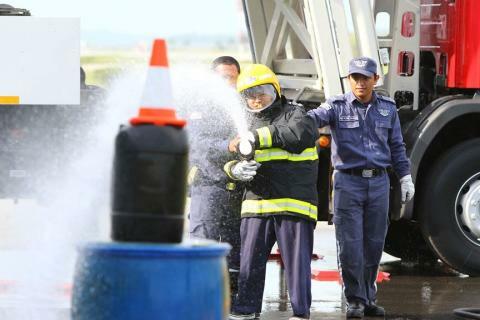 Through the activities organised which include a tour of the airport, youths can pick up life skills, hear unique life experiences and learn the virtue of hard work and the value of teamwork through CAG’s staff volunteers. For instance, today about 50 students of Assumption Pathway School visited the Changi Airport Fire Station 1 and received a rare opportunity of a close-up look into the work of a fire fighter at Changi Airport. Changi Airport is renowned for its first-class customer service. To impart this set of techniques and skills set to the youths, the 2-day programme, “Be a Service Star”, is an initiative that is customised for them to participate in so that they could gain confidence and pick-up service skills which they can readily use in their work in the future. The final thrust of the Changi Foundation - “Community Involvement” - encourages youths to give back to society through community service projects. This initiative gives youths an opportunity to learn through service and provides them with a greater sense of purpose and understanding of life and human kinship. The Changi Foundation is administered by the Community Foundation of Singapore, an independent non-profit organisation set up to inspire giving in Singapore through bridging donors with innovative grant-making on community causes. 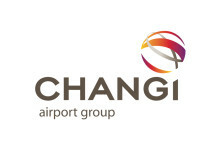 Changi Airport Group (Singapore) Pte Ltd (CAG) (www.changiairportgroup.com) was formed on 16 June 2009 and the corporatisation of Singapore Changi Airport followed on 1 July 2009. As the company managing Changi Airport, CAG undertakes key functions focusing on airport operations and management, air hub development, commercial activities and airport emergency services. Through its subsidiary Changi Airports International, the Group invests in and manages foreign airports to spread the success of Changi Airport internationally. Changi Airport (www.changiairport.com) is the world’s most awarded airport having garnered more than 390 accolades since it opened in 1981. To serve passengers and visitors from the world over, there are 290 retail stores and 130 F&B outlets across the airport's four terminals. Changi handled more than 46 million passenger movements in 2011, an annual record. Today, it serves some 100 airlines flying to over 210 cities in about 60 countries and territories worldwide. A flight takes off or lands at Changi roughly once every 100 seconds. Saturday evenings may mean a night of parties and amusement for many, but for a dedicated group of youths, it means spending hours honing their football skills under the close mentorship of coaches from Singapore and the Realmadrid Foundation. For the first time in its 31-year history, Singapore Changi Airport served more than 50 million passenger movements in 2012. To commemorate this historic event, Changi Airport Group (CAG) today announced a special contribution to The Straits Times School Pocket Money Fund (SPMF), through its philanthropic arm, Changi Foundation. In memory and honour of Mr Howe Yoon Chong’s contributions to Changi Airport, Changi Airport Group (CAG) has introduced the CAG-Howe Yoon Chong (CAG-HYC) Book Prize, a support programme under the Changi Foundation.